New data and analytic methods over the past two decades have allowed social scientists to conduct deep investigations of the contours of color advantage, with disturbing results. Stratification based on color is not only extreme, it is almost ubiquitous. Research shows that people with lighter skin and “Whiter” characteristics receive higher wages, more education, and shorter prison sentences; have higher self-esteem and better physical health; are perceived as more attractive, happier, and more competent; and are punished less frequently and less harshly in school, among a number of other social outcomes. Some studies even suggest that, for Black Americans, skin tone is a stronger predictor of economic success than their parents’ social class. This flood of research has run parallel to a spike in public awareness of colorism and its pernicious effects. 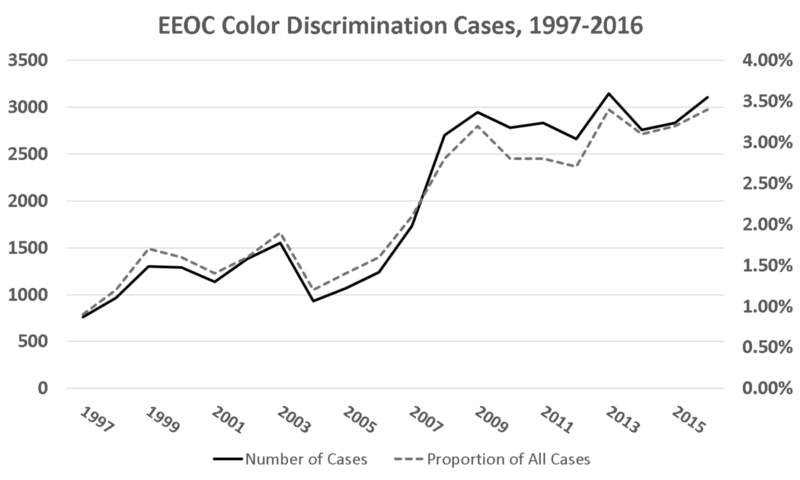 Documentaries such as “Dark Girls” have documented the experiences of dark-skinned people, and the number of color discrimination cases submitted to the Equal Employment Opportunity Commission quadrupled between 1997 and 2016.